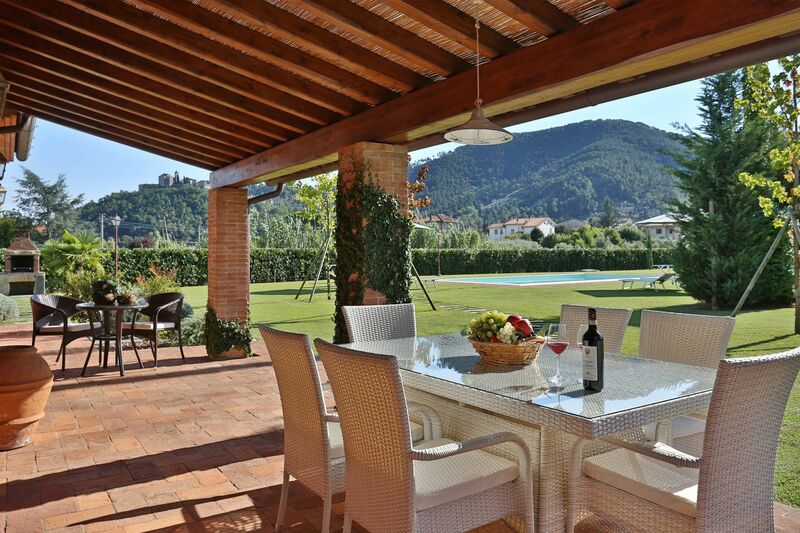 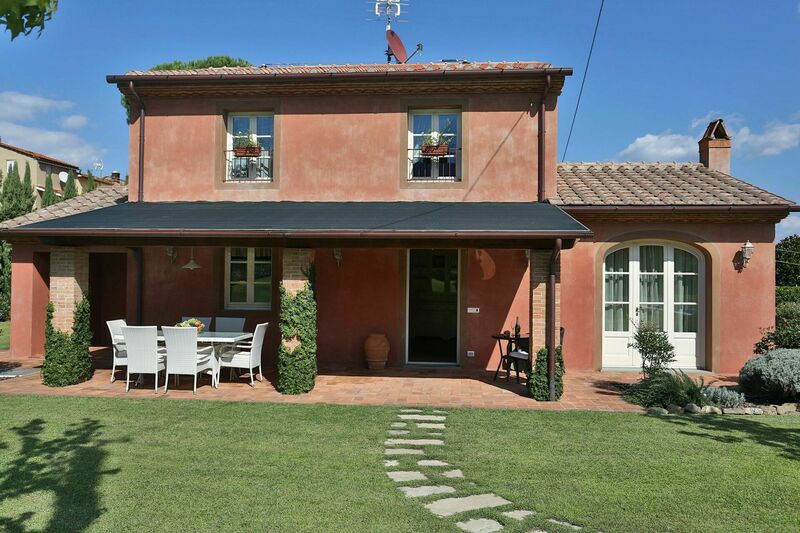 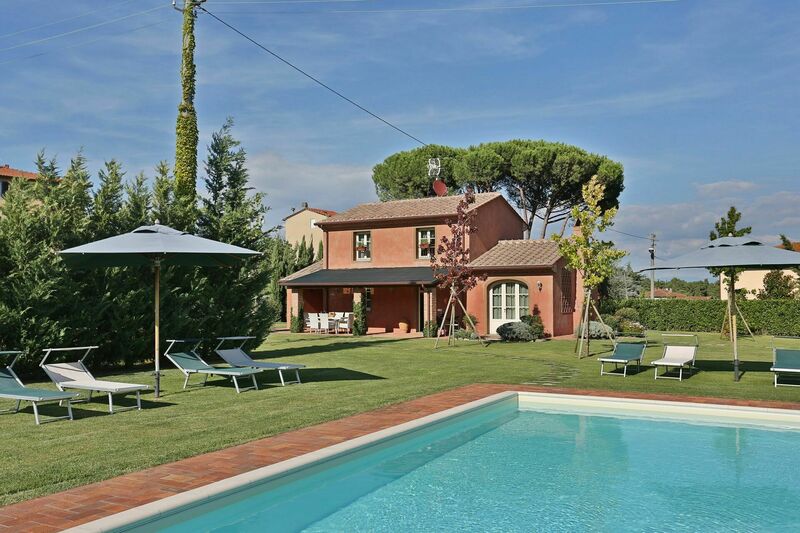 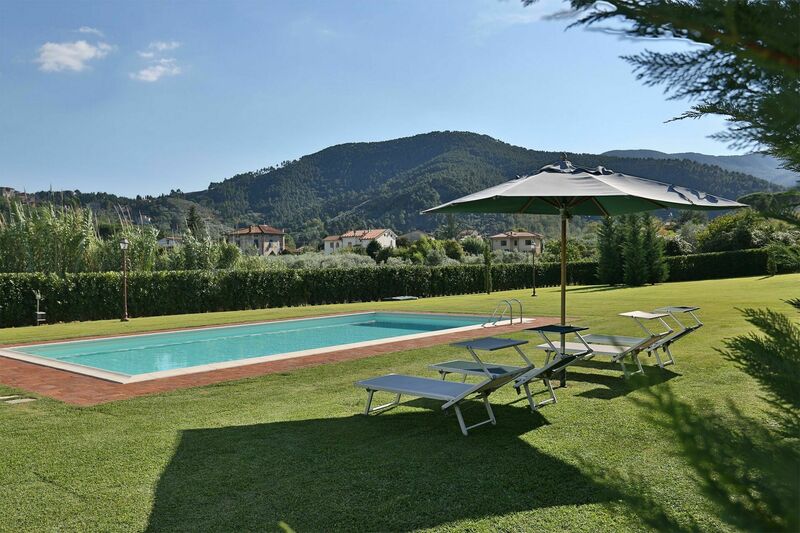 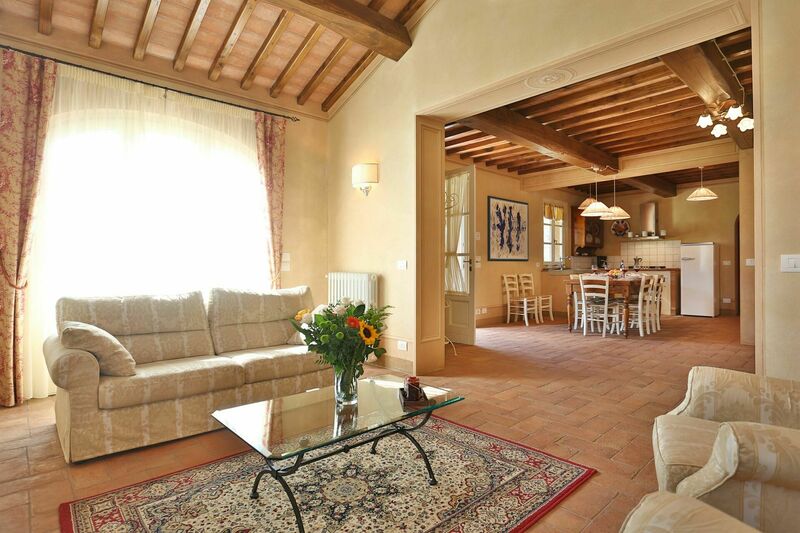 This newly renovated property is located in the countryside South East of Lucca, less than a 15 minute drive to the town. 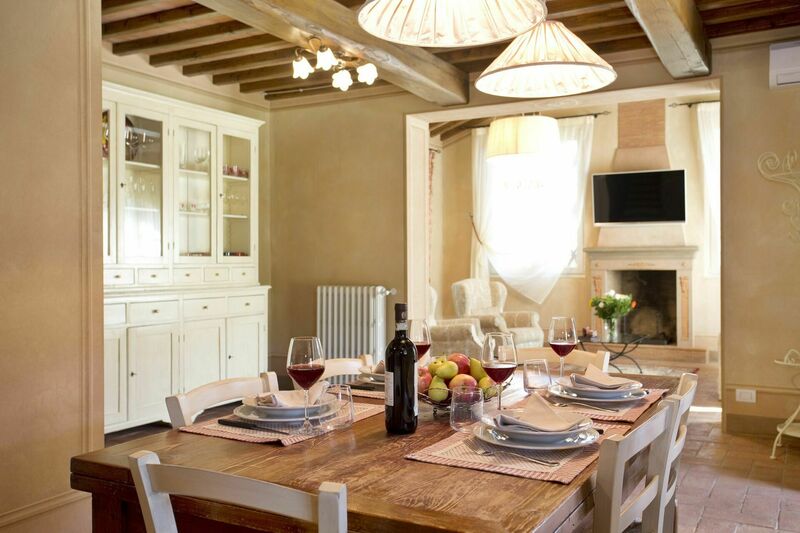 The area is not as widely known as others around the city, yet interesting and rich in traditions, with typical summer sagre, up-hill medieval hamlets, ancient towers and Romanesque churches. 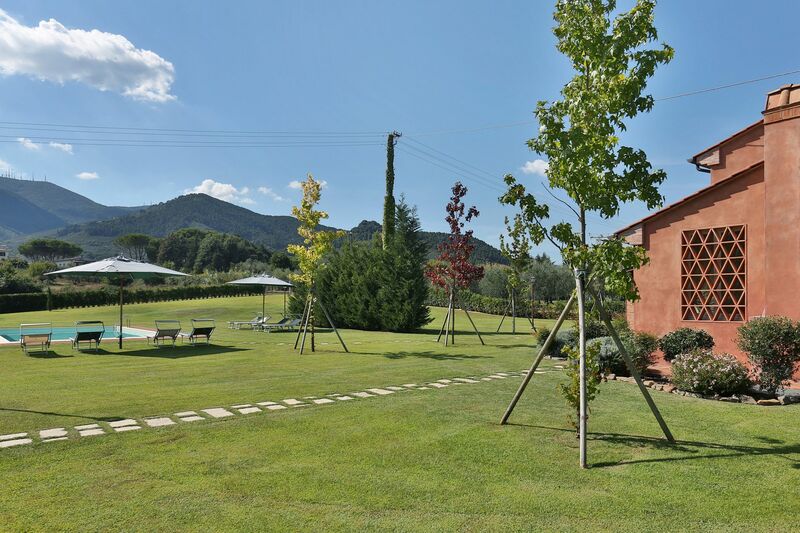 The landscape is dominated by chestnut forests and olive groves. 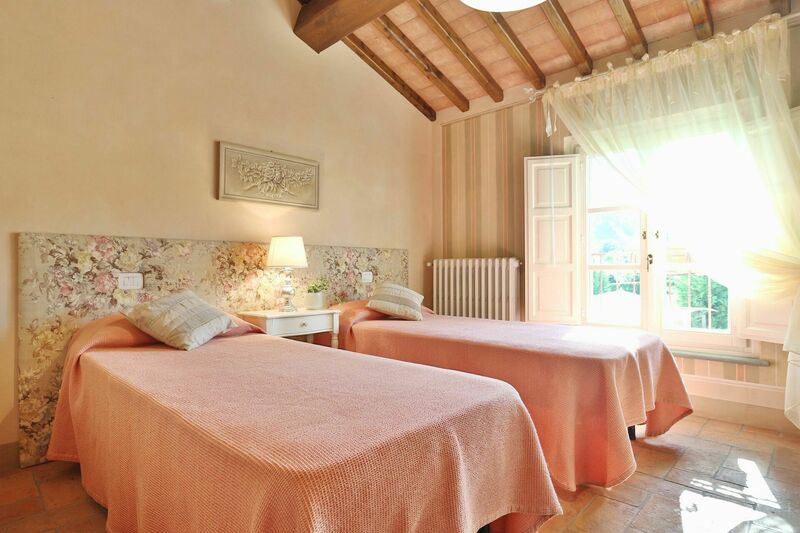 This location is also renowned for the yearly exposition of the ancient Camellias of Lucchesia, which populate the local villages. 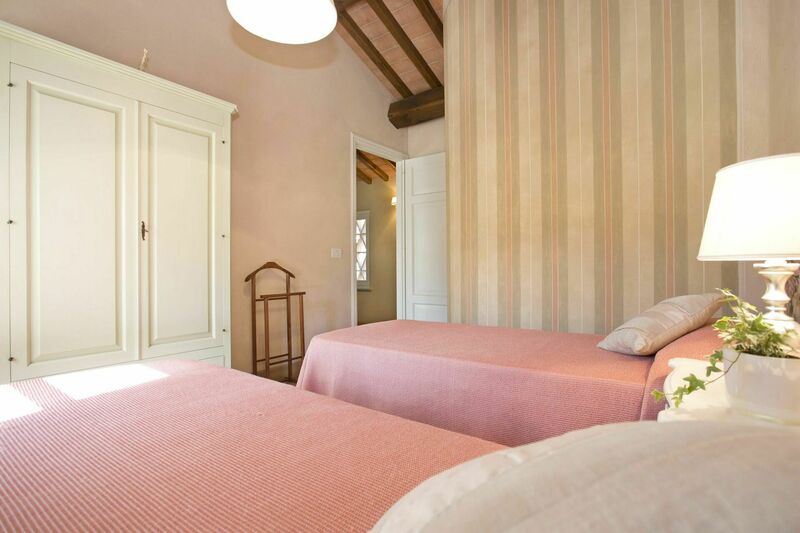 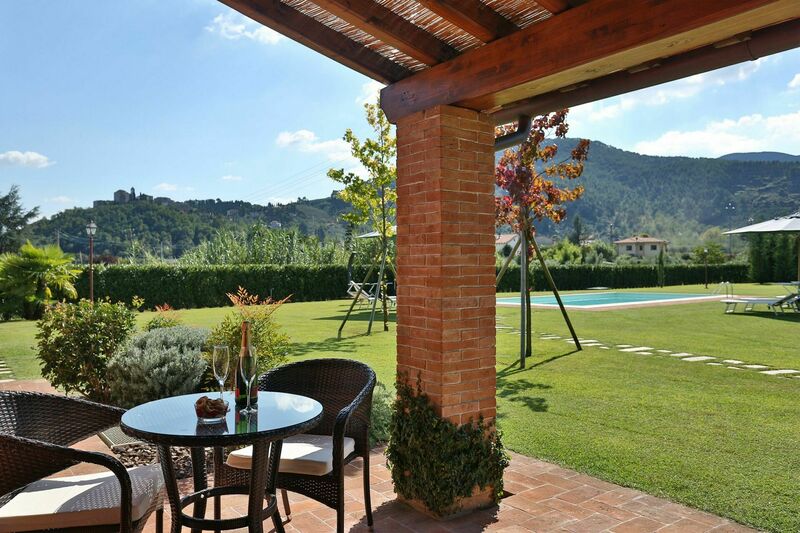 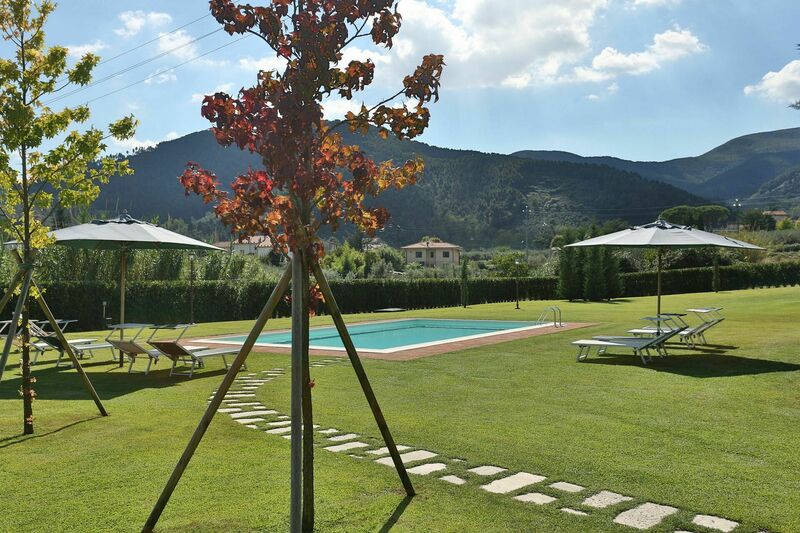 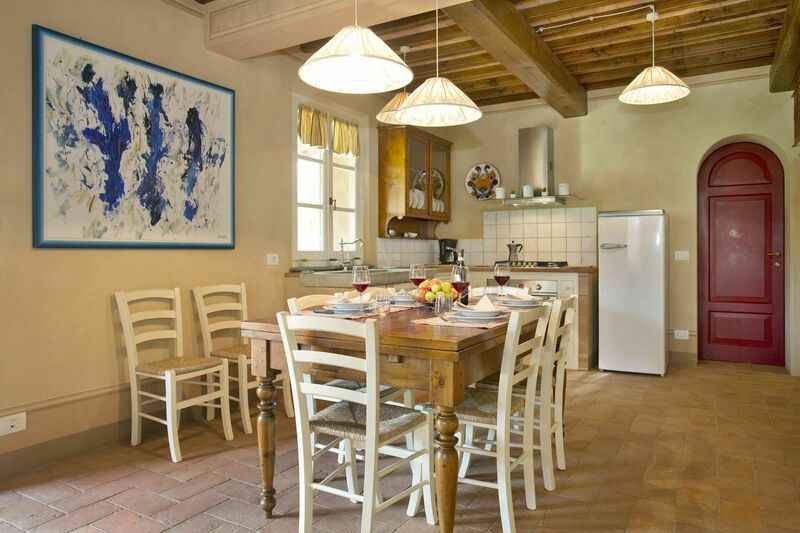 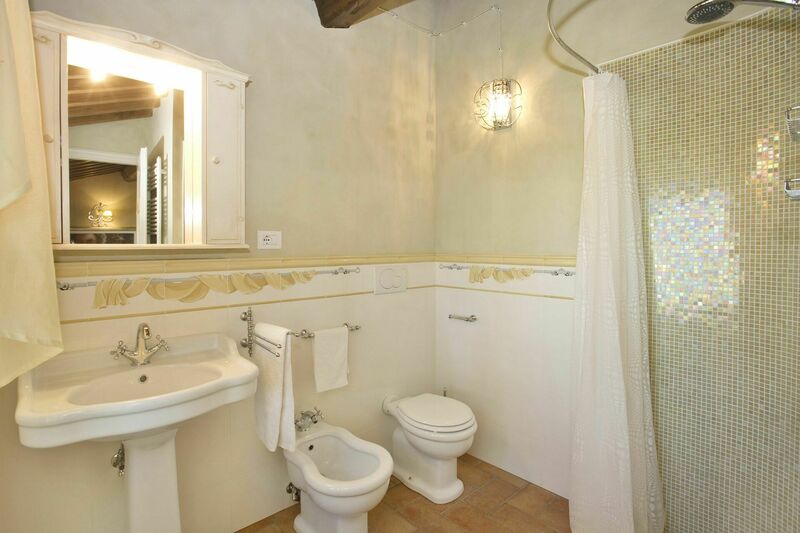 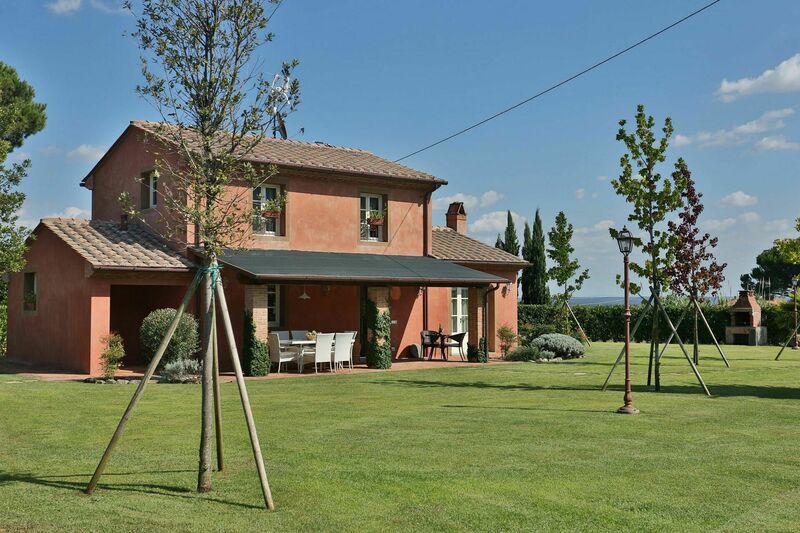 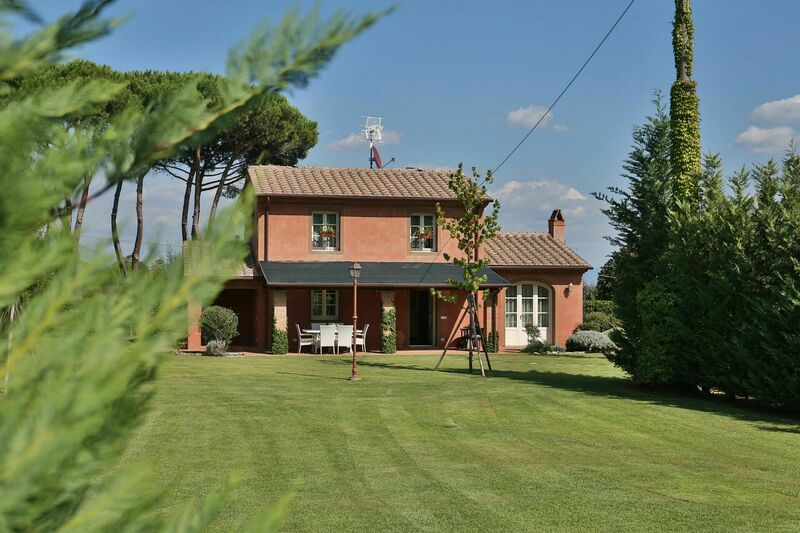 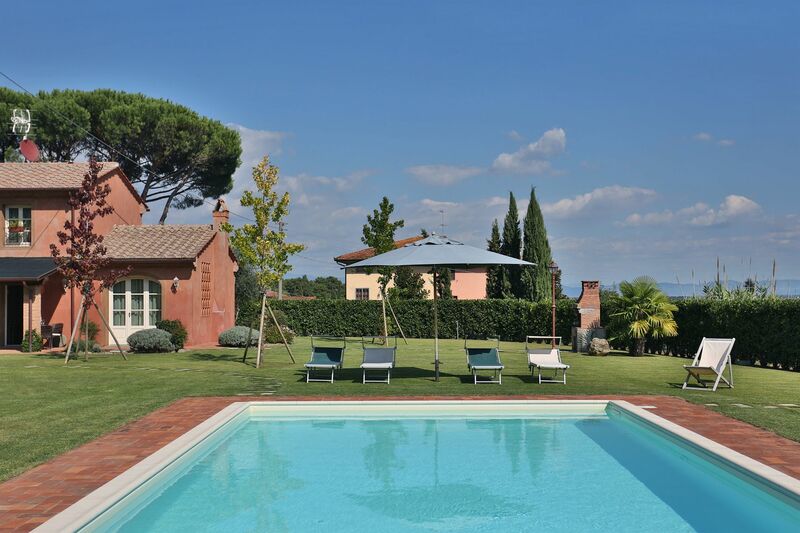 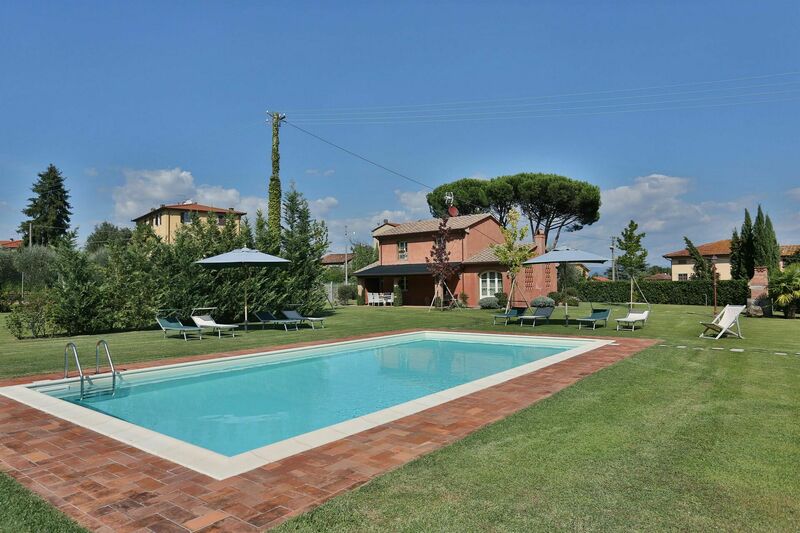 The convenient and easy accessible position of Le Vigne is ideal for visiting Tuscany and being at only a few km away from the motorway exit it is possible to reach Florence, Pisa, San Gimignano and the beaches of Versilia within a very short drive. 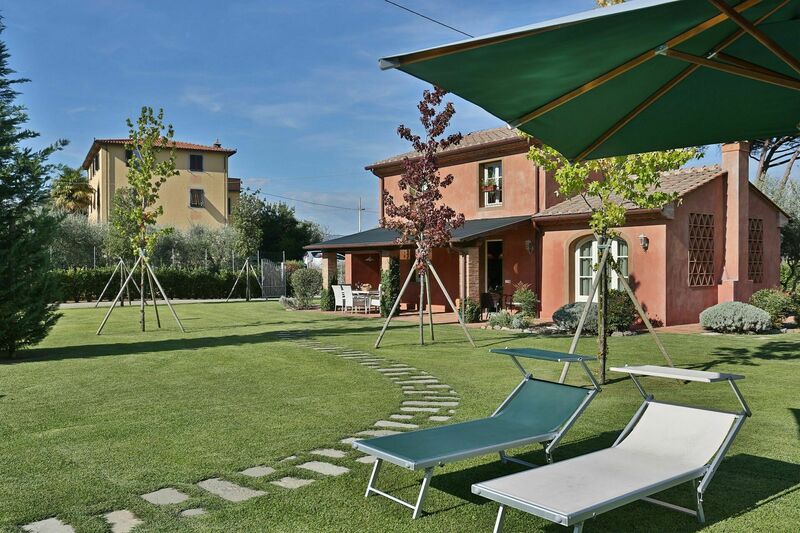 The owner designed the property with the aim of creating a very relaxing environment: both the exteriors and the interiors are equipped with all modern facilities such as satellite TV, stereo system, WI-Fi, air-conditioning in all the bedrooms, built-in BBQ and external shower. 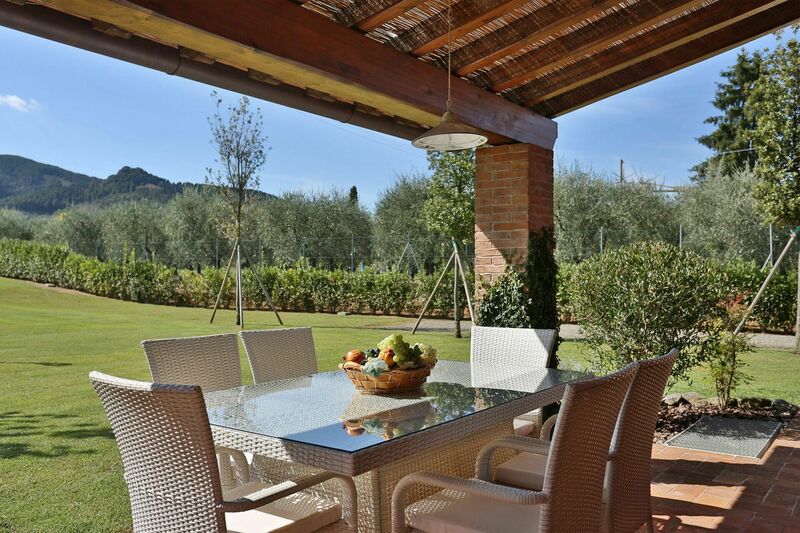 A particular feature is the wide covered veranda, equipped with table, chairs and outdoor furniture, overlooking the pool and therefore allowing the parents to keep an eye on their children. 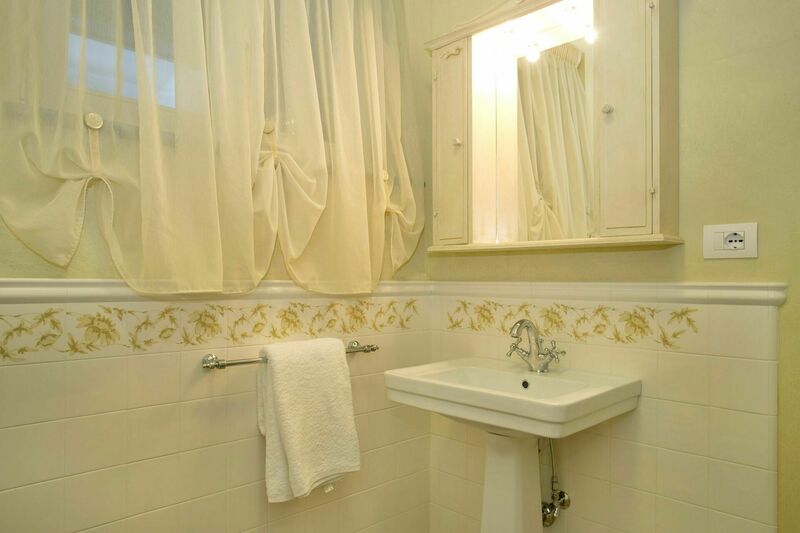 Also being the large flat garden fenced, this rental is particularly ideal for young families. 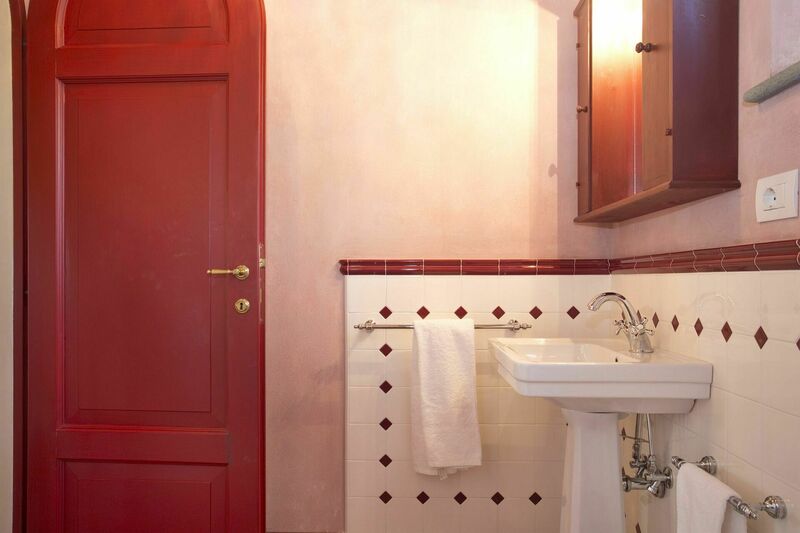 Cleaning service is included 2 hours a day, 2 days a week. 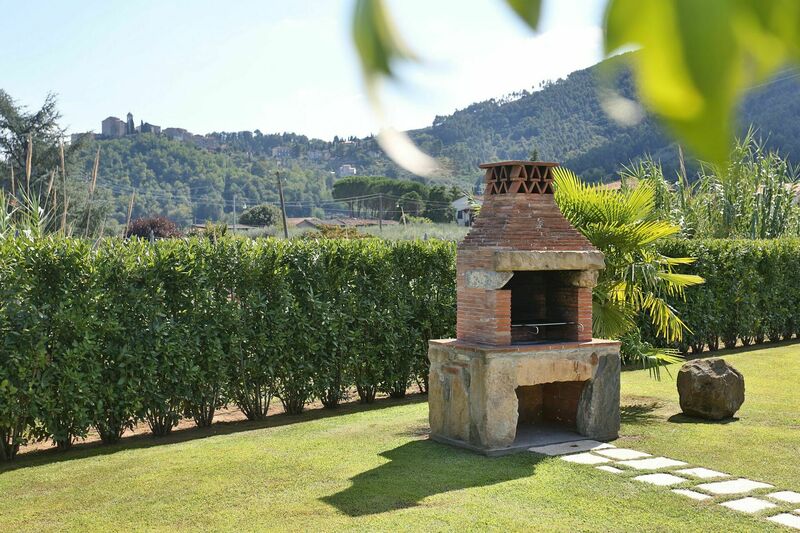 kitchen/dining and sitting room with fireplace opening on to the garden and to the covered pergola ideal for al fresco eating, guest bathroom (shower). 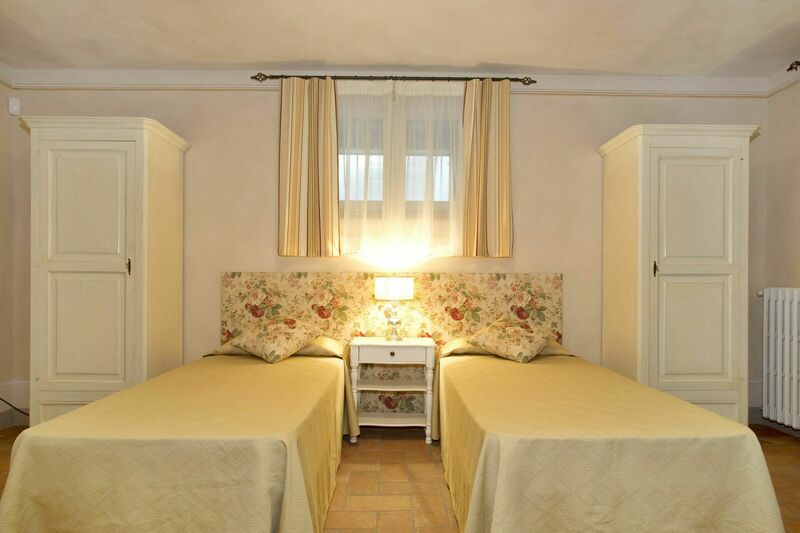 double bedroom; twin bedroom; bathroom (shower). 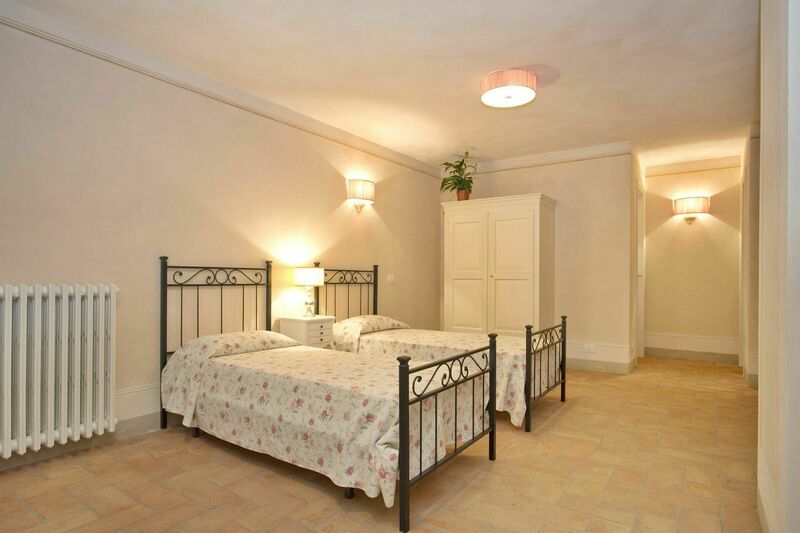 open space with twin beds connecting with a twin bedroom (joinable beds); bathroom (shower). 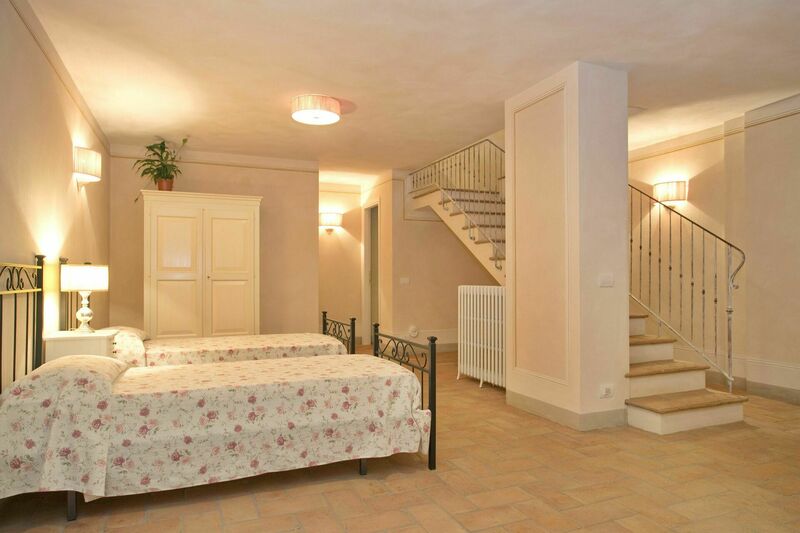 Being on the lower ground floor these two bedrooms are less bright than the rest of the accommodation.